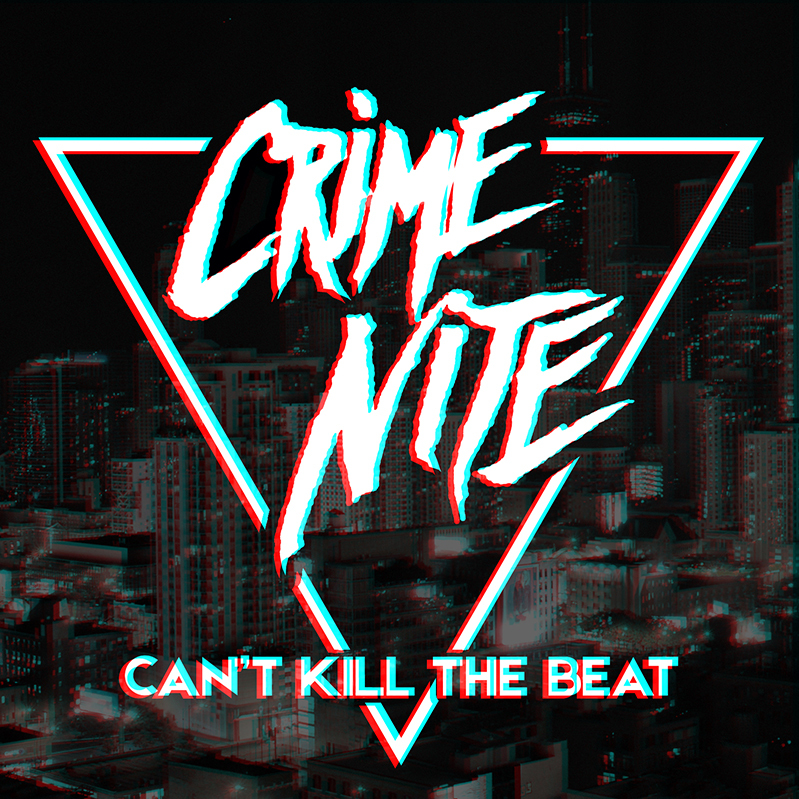 Crime Nite – Can’t Kill The Beat – Album Review | The Ark of Music – The best music in the world…you never knew existed. 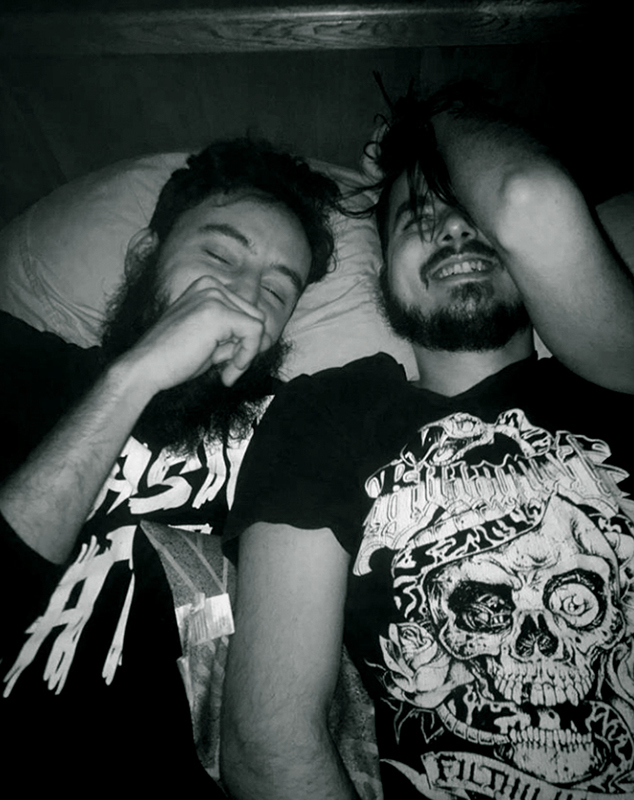 Philadelphia, Pennsylvania product, Judah Dylan (composition, production, vocals, guitar, synth), and Indianapolis, Indiana product, Andy Mars (composition, synth, vocals) have found peace and solace in their now Chicago, Illinois-based EDM duo, Crime Nite. 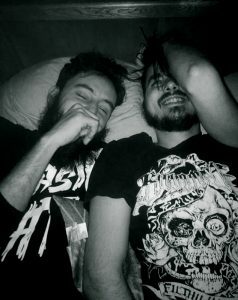 Colliding in a club one fateful night in Bowling Green, Kentucky some years ago, the two have shared a bond that has lasted through countless adventures—collective and respective. Inspired toward the EDM movement via family musicians, fatherhood, Metallica, philosophy classes, and more; you might know the two by their previous monikers, Pretend, and/or Time Machine Death Squad. Though, neither of those would quite capture the feel and intention of Crime Nite. Previous projects include Dylan’s 2013 effort, $krilla Villa EP; as well as a couple of singles from Mars’ former band, Kongah. All of which would ultimately serve as a grand warm-up for Crime Nite’s debut album, Can’t Kill The Beat, a 13-track banger which gives sonic testimony to the duo’s shared struggles and triumphs, which took all of four years to complete. Tricked-out guitar riffs and 80’s-esque synth-lines open with the album’s title track, Can’t Kill The Beat, a melee of sound which sports a dope synth-line reminiscent of Information Society’s 1988 hit, What’s On Your Mind. Cold Forgetter’s laser synth melodies, vocal effects, and percussive change-ups bring to mind the likes of house veterans, Du Tonc (one of our favorites here at TAOM). Guitar at 3:45 reminds me how damn cool it is to include real instruments in EDM. In our currently overly-lyrical pop-music culture, thank you for funky instrumentals like Interlude. Smooth offers another tight instrumental, this time with some seriously wicked high-hat action. Yup, I’m spotlighting the high-hat this time. Listen and tell me I’m wrong. Imaginative, colorful, driven, and crafted with intention. Kids, Crime Nite’s debut album, Can’t Kill The Beat, is not your beginner EDM. Yup. Dylan and Mars’ years in the music scene—writing, playing and performing—have served them well in the creation of this group of songs which are—at the least—complex and groovy; and—at the most—are downright bangin’. Creative and thoughtful prose, layers of dreamy synth-tones, and strong, beckoning beats unite time-after-time in this 13-track whopper of an album. This is a dance record, folks. If you’re into EDM with a touch more humanity…enjoy. BELOW: Check out our full artist interview with Crime Nite, listen to their album, Can’t Kill The Beat, connect with their website and social media platforms, watch their music video, and find their booking & contact information. Please support Crime Nite by visiting them online, and playing, downloading, and/or purchasing their music, or attending a live show! And, as always, thank you for supporting real music!